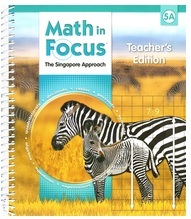 Math in Focus is Saxon’s version of the Singapore Math curriculum, and it was designed specifically for the American home school. The model used to teach mathematics in Singapore has become quite popular as an alternative to the common strategies used elsewhere in the world. Rather than moving quickly through a variety of mathematical concepts, the Singapore approach requires in-depth study of individual concepts. Parents who already have a solid grasp on the mathematical concepts being taught should be able to use Singapore Math with little problem. Those who need to learn the concepts or brush up on their own knowledge prior to teaching the lessons will feel far more comfortable with Math in Focus. 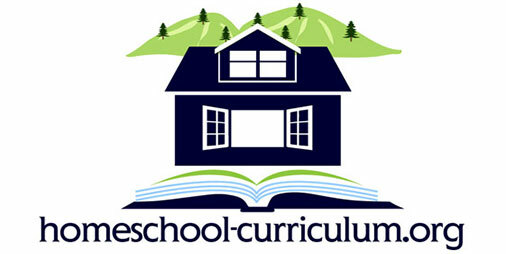 Before purchasing this program, you may want to consider the advantages and disadvantages of this homeschool curriculum compared to other programs. 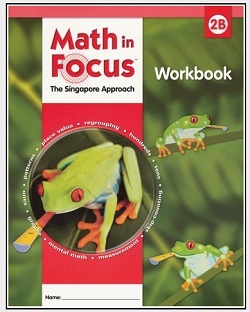 The biggest advantage to using Math in Focus rather than the lower-priced Singapore Math curriculum is the well-developed teacher’s guide. 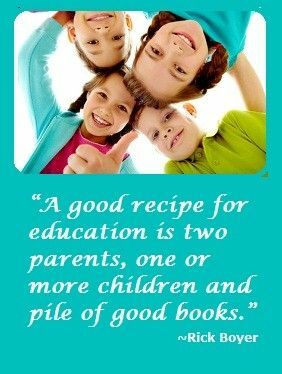 Homeschooling parents are walked through specific steps to understand the lessons themselves. Parents can then present those lessons to their children with far more confidence. The language used in the program is easy for parents and children to understand, which is comforting for parents who find Singapore Math difficult to comprehend. Math in Focus is remarkable when it comes to preparing students for algebra beyond the fifth grade. There is a heavy focus on algebraic concepts right from the start of the program, so students are better prepared to handle algebra when it is introduced fully in later grades. This may challenge the student who naturally grasps math while ensuring those who struggle with math have an easier time comprehending algebra when it is introduced fully. The biggest disadvantage to Math in Focus is the expense. It is more expensive than Singapore Math, so parents have to determine whether they need the extra instruction that comes with the program or not. There may also be additional expenses if parents choose to purchase manipulative tools. Household items can be used instead of manipulative tools, but some parents prefer those sold to coordinate with the program. The computer software manipulative tools are quite pricey. While some parents do not want to pay the extra expense to use Math in Focus, others find that the more comprehensive teacher’s guide alone makes the program worth its price tag. The difference comes down to how much instruction a parent needs before they can competently present mathematics to the student. Those who need to learn along with their children or who need a refresher before teaching will appreciate the extra help given in Math in Focus. Many parents also like the way lessons are designed in this program. Students first use manipulative tools to understand the concept. Then they use pictures to understand the concept. Finally, they complete problems strictly in mathematical form with numbers. This is quite different from simply throwing math problems at a child right away. Children are able to thoroughly process the concept being taught, so they are more likely to remember those concepts when moving forward to more complicated mathematical concepts. 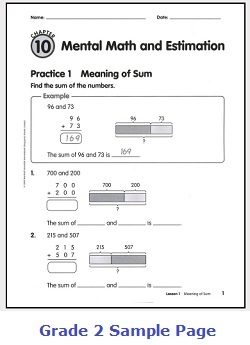 What makes this program unique is the combination of Singapore mathematical strategy with American learning standards. That alone is quite impressive to many parents. Purchasing Tip: Where to Buy It? This product is available at both Amazon.com and ChristianBook.com. Generally, we have found that ChristianBook.com’s prices on this particular curriculum run a little cheaper than Amazon so you may want to check them both before you order. Click here to check prices at Amazon.com. Click here to check prices at ChristianBook.com.